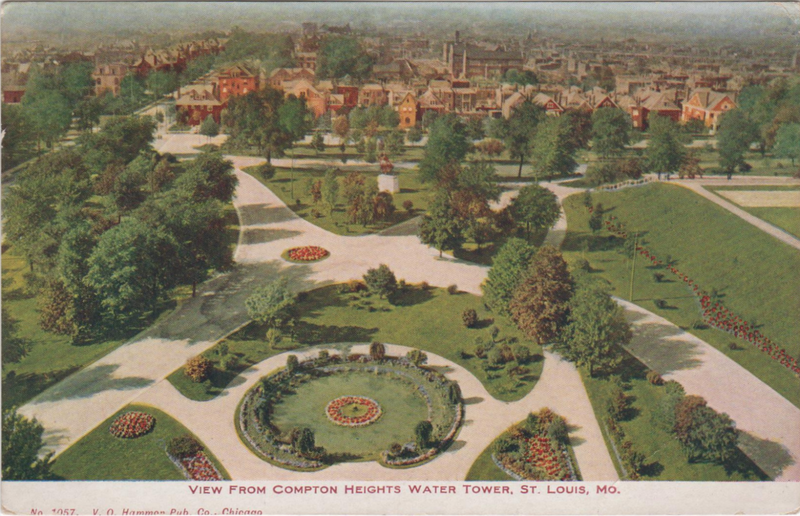 Built in 1898, the Compton Heights Water Tower was on the highest point in St. Louis at that time and was surrounded by a lovely manicured park. It remains a monument and tourist attraction to this day. An invitation! 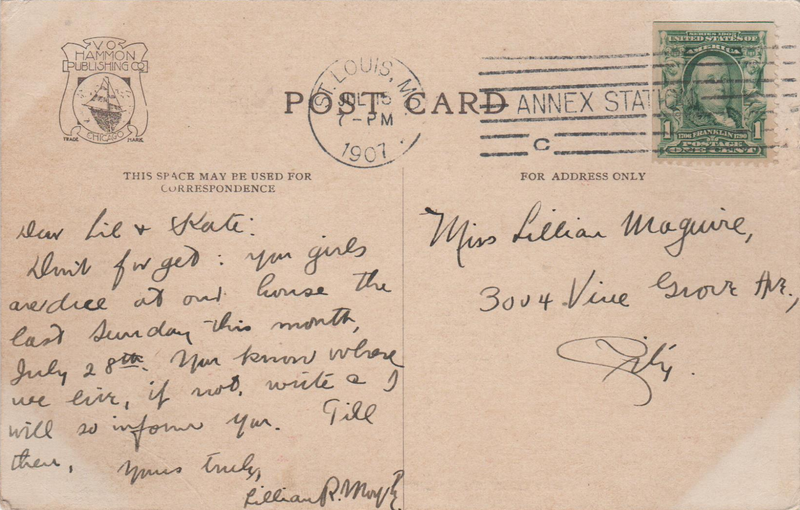 And Lillian, shortened to "Lil" here, has a sister, Kate (in addition to her older sister Anne)! How exciting! The two girls apparently get to go on a Sunday visit to Lillian Moy's home. What is that undecipherable squiggle at the end of the sender's name? How delightful! That park looks like a beautiful place to be.